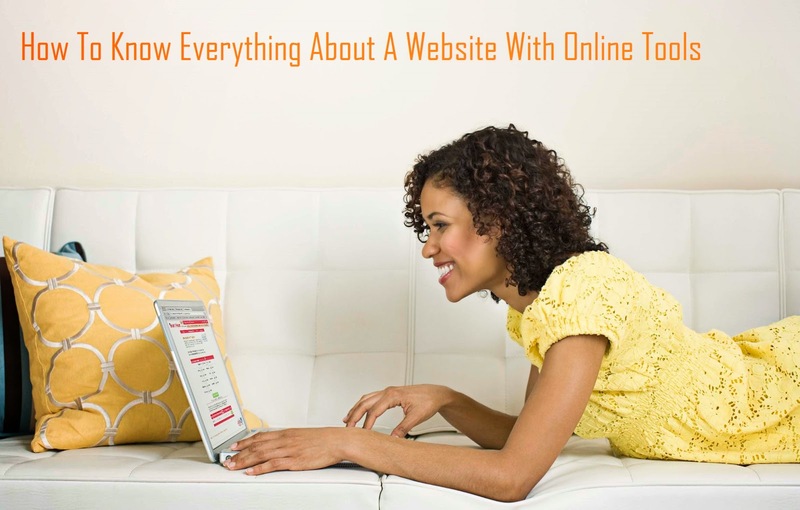 Sometimes it is very important to know all the details about your own website or some other websites. It broadens your idea on your webpage visibility over web. It gives your proper information regarding your domain, contact person name, address, registrar and some useful details by which you can and know and contact those website owners. Below mentioned tools are the most useful online tools that will help you know each and every detail of any website. Let’s look into the following 12 tools and how they fetch data and provide you the valuable information. who.is — In case you want the contact address, email and phone number of the website owner, this free whois lookup service will help you in obtaining that. It is a universal lookup service meaning it will fetch data from the whois database of all known domain registrars. whoishostingthis.com — This online service will show you the name of the company where that website is hosted once you provide the name of the particular website. It will be helpful if you need the contact information of the web hosting provider for writing a DMCA Notice or in case you are switching web hosts. developers.google.com — A google product. You can see the Page Speed score of any website on both desktop and mobile devices. If you get a higher number it means the performance is good. It also suggests how the score can be improved. just-ping.com — A must need tool for bloggers to determine whether a particular website or blog is accessible from other countries. If the ping results show 100% Packet Loss then it is likely be the site is inaccessible from that region. popuri.us — To know the social presence and engagement, you can use popuri to estimate the relative popularity of a website on social sites like Twitter, Google+ and Facebook. It also display the Google Pagerank of a website and the Web of Trust matrix. ewhois.com — Ewhois also known as enhanced whois lookup, will help you know whois details, the AdSense publisher ID and the Google Analytics code of websites to determine other web domain if it belongs to the same owner or not. chillingeffects.org — In case it is a copyright related complaint against a website, there would be a copy of that letter stored in the Chilling Effects database. You can query this public database to know about all the copyright infringement complaints against a particular website. semrush.com — You can analyze your competitor’s website by using this service. SEMrush will help you to know what organic keywords are people using to find a website, what is the site’s traffic and which are the competing websites compared to your's. myip.ms — It provides a comprehensive report of any website or I.P. Address. You can know about the hosting provider, the physical location of a website, the IP Address change history of a website and the DNS information. builtwith.com — BuiltWith helps you to know the technology structure of any website. It also provides you the mail service provider of a domain, the advertising partners, the tracking widgets that are installed on a website and whether the site is using any CDN like Amazon S3 or Google Cloud etc. httparchive.org — The service is a repository of all performance related metrics for a website. It maintains the record for the size of pages, their average load time and the number of failed requests over time for doamins. modern.ie — It will help you to understand your website’s compatibility with various web browsers and detects coding errors that might cause problems for your website. You can also view how your site looks on different devices and browsers.